Does the US need quotas to boost parity in the boardroom? In 2015, it turns out that the best way for women in the workplace to crack the glass ceiling might just be to break down a door — the door to the corporate boardroom, that is. As many strides as women have made in the workplace over the past 50 years — women now hold more than half of professional jobs in the United States — their representation at the top echelons of business has not caught up. Women account for just 14.6 percent of executive officers, 8.1 percent of top earners, 4.6 percent of Fortune 500 CEOs, and 17 percent of Fortune 500 board members. 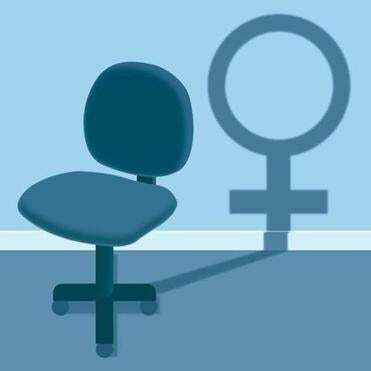 And the number of female directors in the boardroom matters — studies have suggested more women overseeing corporate governance affects employee performance, corporate social responsibility, even profitability. Yet, fearing that companies won’t do enough to address this global concern on their own, some European countries are pursing a controversial approach: gender quotas. Germany last month became the latest and most significant government to pass quota legislation for corporate governance. It requires public companies, including some of the biggest multinational companies in the world, to appoint women to 30 percent of their board seats beginning next year. It’s a bold move by the eurozone’s largest economy, and one that could have far-reaching influence. For one, the movement is now gathering momentum in the United States. The push for 30 percent here is being powered by advocacy groups, legislators, and business leaders, all of whom see the benefits of more gender parity in the leadership of public firms. An American academic import inspires mass protests. To be sure, a certain American queasiness about quotas and government intervention in business makes actual legislation unlikely here. Even most leaders of the 30 percent movement think quotas are too reminiscent of Mitt Romney’s 2012 “women in binders” remark and worry that, if they were instituted, women would be perceived as token hires. So, for now, progress in the United States will depend instead on a slower-brewing consciousness and voluntary actions. Last year, for instance, two dozen major American companies opened a branch of an organization called the 30% Club to press businesses towards this same goal of increased female participation on boards. Proponents argue it will take a concerted effort on the part of companies for true gender parity. That’s, in part, due to inertia. 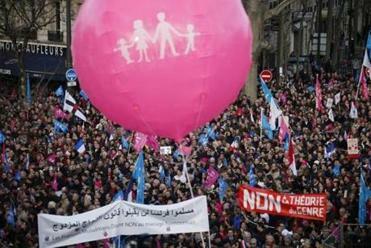 “It’s not a concentrated effort to keep women out, it’s a matter of prevalent practices,” says Charlotte Laurent-Ottomane, executive director of the Thirty Percent Coalition. Most companies and search firms turn to the usual suspects — CEOs and people who have served on other boards — when choosing board members, according to Laurent-Ottomane. Moreover, board chairmen are more comfortable bringing on a known entity and supporter rather than taking a chance on a newcomer. Worse still, some boards don’t have term limits, making it nearly impossible for new people to join. All these factors work against women, in particular, who generally have not previously served on boards or as CEOs and therefore are often not even in the running. Laura Hartman, set to become director of the Susilo Institute for Ethics in a Global Economy at Boston University’s School of Management this summer, puts a finer point on it. Given these business norms, what would compel chief executives to break their entrenched habits and make a concerted effort to identify and hire qualified women? An appeal to their company’s bottom line, of course. That’s where data-driven research may be having a positive effect. Catalyst’s 2011 “Bottom Line” report — which analyzes financial indexes like return on sales, capital, and equity — shows that Fortune 500 companies with the most women board directors outperformed those with the least. Moreover, companies with sustained high representation of women board directors (three or more) significantly outperformed those with sustained low representation. A second study, conducted by Solange Charas, president of Charas Consulting, and published in the International Journal of Disclosure and Governance in January 2014, found that boards that function as a highly dynamic team generate more economic value for their organizations than those that do not. Understanding as to the qualities of a “good” board member are also shifting. “If you give up the idea that you have to have a sitting CEO or recent CEO in your industry,” Laurent-Ottomane says, “and instead recognize that your competencies include marketing, investor relations, and other disciplines, then you start seeing women that are highly qualified come into these roles.” In other words, identify more junior female executives who excel to fill seats. Meta Wagner teaches creative writing at Emerson College. Follow her on Twitter @meta_wagner1. Correction: An earlier version of this article misstated Deborah Gillis’s name.